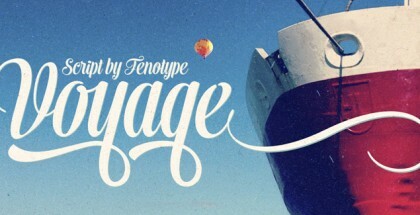 Balcon font family is another great surprise by Serbia based Tour de Force type foundry. Exploring the depths of contemporary Sans Serif typography they created very original condensed Sans, developed in 5 different weights. 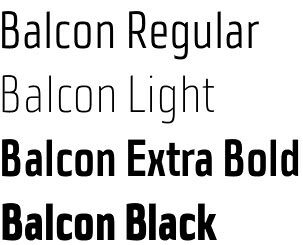 Balcon is designed with tight condensed forms, specific geometric look with optimized terminals and enhanced legibility – step by step professionally tuned up and totally focused for onscreen use. Though authors declare it is dedicated webfont family we see a lot of potential in its use in editorial design, posters design, branding, etc. 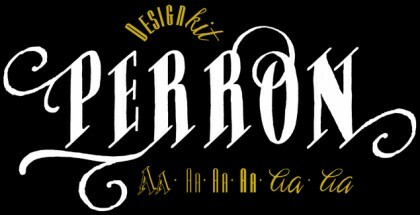 mostly because of its original interpretation of classic geometrical fonts of typical condensed Sans. Very attractive, strong and maybe a bit more serious than necessary, Balcon font family is your best friend from everything starting from web site and mobile apps to book cover, annual report or even business card. Balcon has enough character and personality to be used alone or in combination with its little brother – Balcon Rounded. If you need more great fonts by Tour de Force, just follow the links: Galeb font, Trampoline font, Hedon font, Lumier font, Kamenica font.